It is 1704 and, while the Sun King Louis XIV rules France from the splendour of Versailles, Louisiana, the new and vast colony named in his honour, is home to fewer than two hundred souls. When a demand is sent requesting wives be dispatched for the struggling settlers, Elisabeth is among the twenty-three girls who set sail from France to be married to men of whom they know absolutely nothing. Educated and skeptical, Elisabeth has little hope for happiness in her new life. It is to her astonishment that she, alone among the brides, finds herself passionately in love with her new husband, Jean-Claude, a charismatic and ruthlessly ambitious soldier.Auguste, a poor cabin boy from Rochefort, must also adjust to a startlingly unexpected future. Abandoned in a remote native village, he is charged by the colony’s governor with mastering the tribe’s strange language while reporting back on their activities. It is there that he is befriended by Elisabeth’s husband as he begins the slow process of assimilation back into life among the French.The love Elisabeth and Auguste share for Jean-Claude changes both of their lives irrevocably. 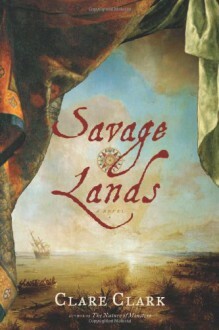 When in time he betrays them both, they find themselves bound together in ways they never anticipated.With the same compelling prose and vividly realized characters that won her widespread acclaim for THE GREAT STINK and THE NATURE OF MONSTERS, Clare Clark takes us deep into the heart of colonial French Louisiana.